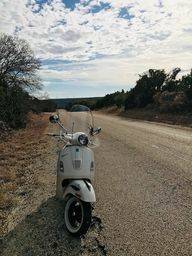 I got my wife to get on her Vespa and ride it. 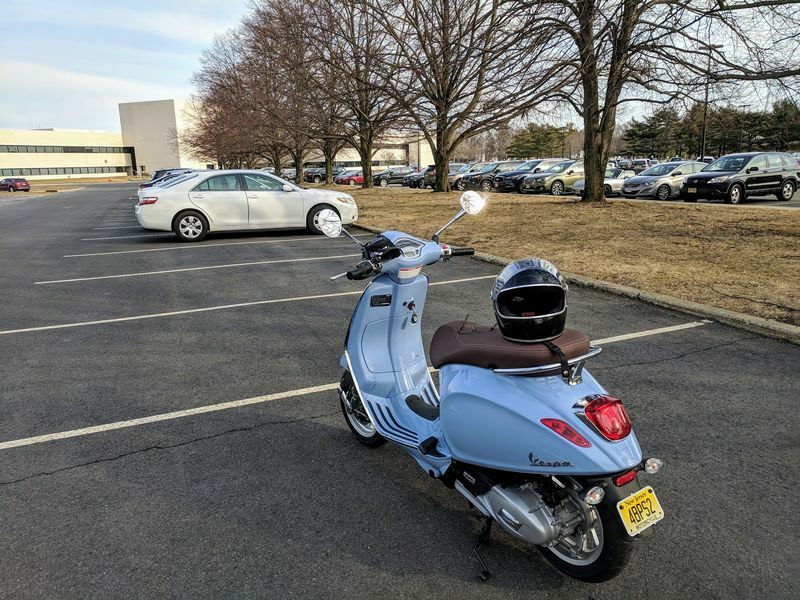 I had to ride it to an empty parking lot and then run her through everything and how to ride. She got up and running and went further and faster than I expected. I was nervous she was going to stay too nervous and never get up and running. But I think she got more confident watching me ride it to the lot (Thanks Vonage). So I am hoping she will be more confident when she get to the MSF Course in two weeks and will join me when my MP3 comes in. Nice job! Baby steps till she’s better. It’s fun having a riding partner. Funny thing getting a bike has been her dream for decades. This year I got it for her and it has sat there since Christmas waiting for her to ride it. 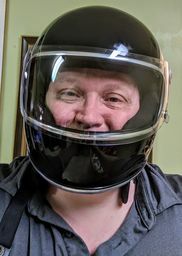 I ordered my scooter because she wanted a riding partner. But the longer it sat there the more the negative thoughts came in telling her she might not ride it, might not get licensed. But Yesterday it was a change in the thoughts. Funny thing getting a bike has been her dream for decades. You're lucky, my wife wanted a horse and was afraid to ride. The good thing is I have gotten to take it around while I wait for her to get her license. Yeah I feel like that riding the Vespa. I think I weigh more than the bike. Gotta take that first step. 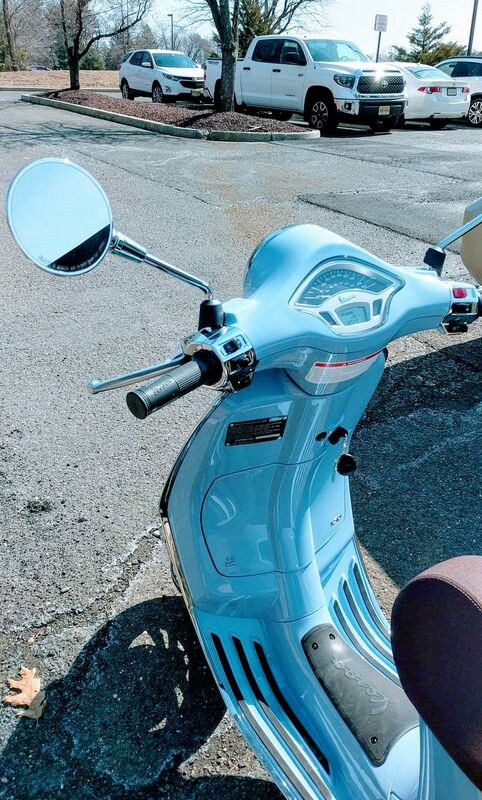 Pretty scoot, too!